"Truth be told, I could never get a clear read from him. It was as if he was intentionally trying to appear neither interested, nor uninterested at the same time." I tried to defend myself. "Do I have to spell it out for you? They call that playing hard to get!" "A wounded heart knows no boundaries, Wildflower. I'm not leaving without you." "You deserve respect, Laney. You're special and you should never doubt that." I could feel Joshua's heart beating against my own. Our breathing picked up and soon my fingers found their way into Joshua's silky brown curls. I'm a sucker for reincarnation love stories. Lives upon lives of people finding each other and falling in love every time? It's sweet, and I can't help but love it. Wildflower was really no exception. The book wasn't perfect, but I definitely did enjoy it. We have Laney, a girl who used to be Wildflower in a past life. I kind of expected her to be somewhat wise, since she had lives before, but I think I liked how she was pretty normal. I found her annoying more than once, but I can't deny that she was very teenager-ish. Some of the things she thought/said were very cliche-teenager (which means teens don't ACTUALLY say these things, but people say we do for some reason) but most of the time it wasn't too bad. Laney was just trying to make the best out of a confusing and overwhelming situation, and I can't really fault her for that. Joshua was the nice boy. The sweet boy. They boy that I personally was rooting for throughout most of this book. Even his past self was a sweetheart, and I totally felt for him. But then we have Jordan, who I thought was a jerk for most of the book. He was so wishy-washy about what he wanted, and he got angry when he has no right to say anything--HE was the one who messed things up. He also started out as the stereotypical pretty boy. He grew out of that, however, just like he grew out of the other things that bothered me about him. By the end of the book, I actually really like Jordan's character. He had the biggest character arc in the story, in my opinion. The romance seemed pretty straightforward to me for most of the book. I was Team Joshua, through and through. Just hand me some pom-poms and I was THERE. But then towards the last third of the book, that started to change. I don't know if I'm specifically Team Jordan now or anything, but I know for a fact that I'm not entirely certain about Joshua anymore. I mean, he's still a good guy, but I think Jordan has a serious chance of winning me over, depending on what happens in the next book. 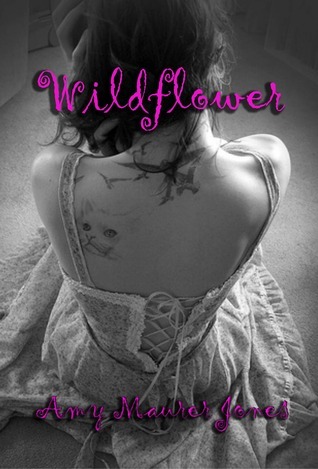 I loved going back to Wildflower's life in Laney's dreams. It was so interesting to see how things were for her and the guys before, compared to how thing were playing out in present time. The things that happened in the past made me question what was happening in the present more than anything else, and I thought that was so fun. Plus, loads of sweet moments took place in their past. I loved all of the past characters--Wildflower, Joshua, and Paco. If the story were to be about them, I don't think I'd really ever be able to choose between Joshua and Paco. I actually think I may have went with Paco. I like warriors. The writing and plot of this book wasn't the best. The premise was captivating enough to keep me in the story, but the writing was kind of boring for me until about halfway through the book. There was a lot of boring high school drama that felt kind of pointless for the first half, and I pretty much would have preferred to dive into the past lives and how that connected right away. Instead, we eased into it, and I got bored from time to time. After the halfway point, though, I was completely into the story. I didn't absolutely love everything that happened--because there was still high school drama and whatnot--but there was enough of other interesting things that held my attention. Overall, Wildflower took the topic of reincarnation and added a refreshing twist, which I absolutely loved. The story is romantic and interesting, and I am definitely looking forward to reading the next when I get my hands on it. The first half of this book may not have been the greatest, but the second half certainly made up for that so it all ended up balancing out.